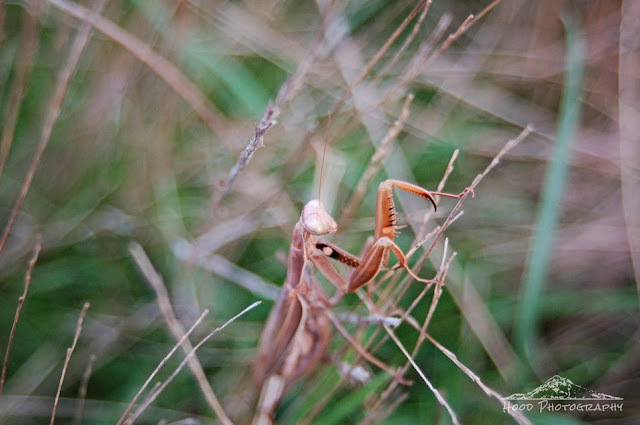 We spotted this praying mantis while out on a walk through a field a weekend ago. I had never seen such a large one before. It was actually pretty creepy! The forelegs do have an orangish tint. They creep me out too but I have thought I would like to have them in my garden to eat bugs, but I just googled about bees and it said they do eat bees, so I guess I will not miss them. It must be so exciting to be buying your first house. Good luck on the move. Is the Praying mantis going with you?